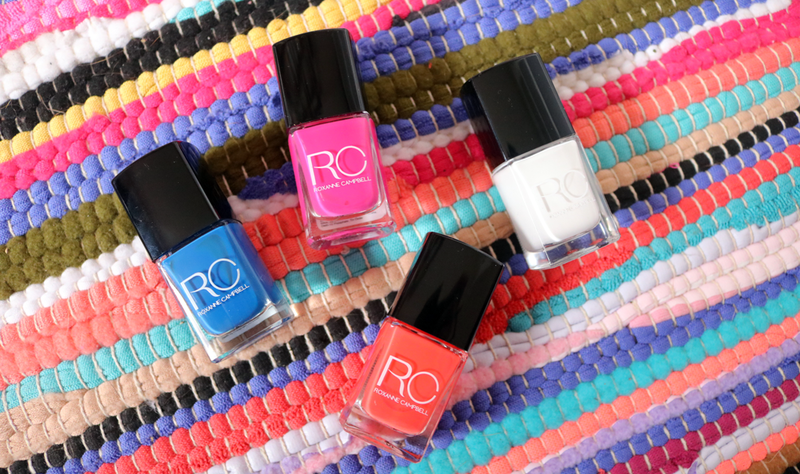 Roxanne Campbell's latest Summer Collection of nail lacquers is a bright and cheery bunch - time for a new mani anyone? A favourite name amongst the fashion-conscious, Roxanne Campbell has painted the nails of countless of supermodels on runways all over the world, so it was no surprise to see her launch her own brand of luxury nail lacquers last year. 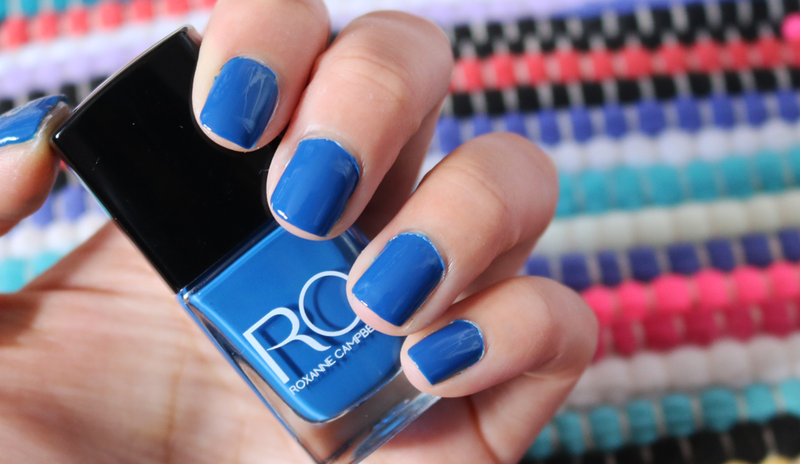 RC's line is cruelty-free and showcases a mix of classic colours with contemporary must-have shades. Her Summer Collection comprises of four beach-ready shades and I was thrilled to get my hands on a set to try out! Perhaps I'd been scrolling through too many sunny Pinterest posts recently or something, but the first colour that I wanted to try out was Snow Fight. This stark white achieved opacity within just two coats and looks amazing against tanned or darker skin tones. I have to admit that I've only previously used white nail polish as an additional shade in nail art, but I'm really warming to what it looks like all over! This stunning bright blue was nearly opaque in one coat but I used two for good measure to get an even level of coverage. Violets Are Blue applied smoothly, dried quickly and has a lovely high-shine finish without the need for a top coat. A gorgeous blue for my nail polish stash. Fans of hot pinks will love Sitting Pretty - a vivid bright pink that only needed one coat. Like Violets Are Blue, this one also has a glossy, high-shine finish and the formula was a dream to apply. I particularly love this shade on toes to jazz up a pair of plain flip flops. My favourite of the collection is definitely Off To Jamaica. I always bright coral shades like this throughout Summer as I think they look particularly great with a tan, and this colour is no exception. The formula is brilliant like the rest of these nail lacquers - a must-have for sure!